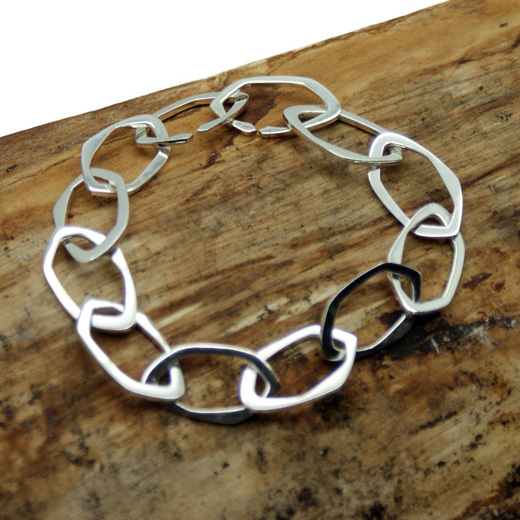 An unusual six sided hexagon open linked bracelet designed and hand crafted by Tego. The bracelet is very unusual, each hexagon links another and to fasten it two hexagons have a slight opening to link them together as shown in the photograph, a bit like a magic trick. 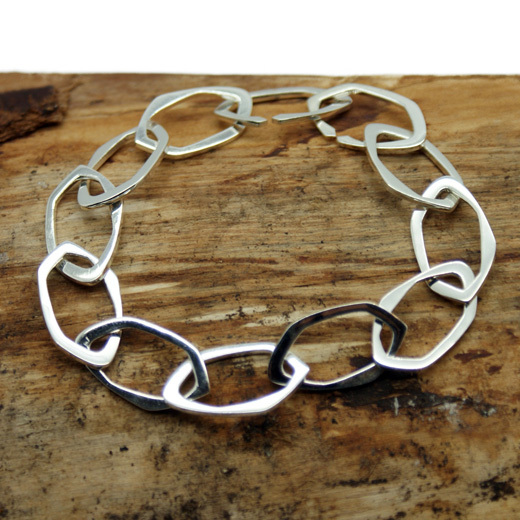 With the six sides, each link catches the light as it shimmers discreetly on the wrist. 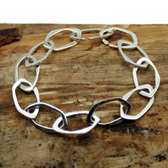 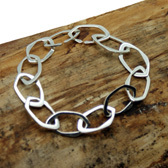 It can be worn alone or stacked with your favourite bracelet styles for an eclectic finish. 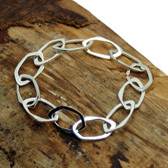 This bracelet has matchings earrings.